Now our sister site of Classical graphic design is ready to be launched. 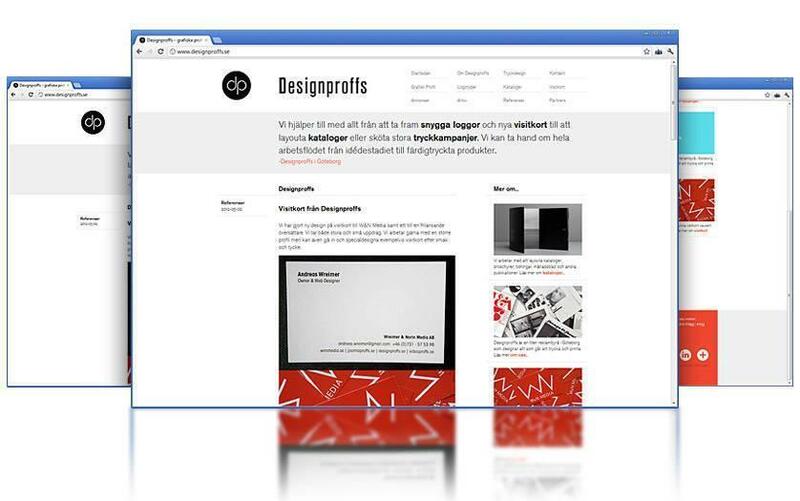 On Designproffs.se you can get help with everything from developing stylish new logos and business cards to lay out catalogs or handle large print campaigns. Now our sister site of Classical graphic design is ready to be launched. On Designproffs.se you can get help with everything from developing stylish new logos and business cards to lay out catalogs or handle large print campaigns. Design professionals take care of the entire workflow from idédestadiet to the finished printed products. Are you rather impressed by their website and looking for a self hesida with unique design so feel free to contact us here!